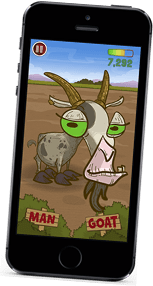 Man Or Goat is a game where you listen to goat noises and decide if it’s a real goat or me pretending to be a goat. 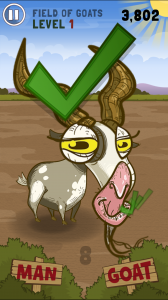 I decided that 81 levels with 12 goat noises per level was about right. 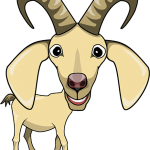 81*12 = 972 goat noises. 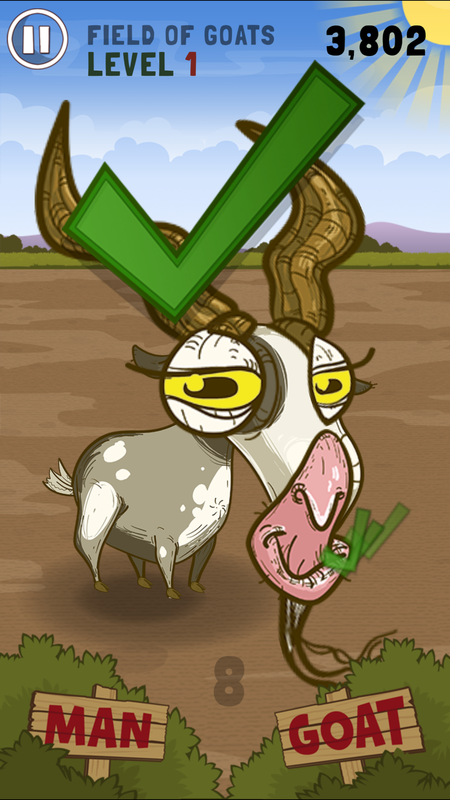 That should take the player a while to get through, and even longer to go back and get higher scores. 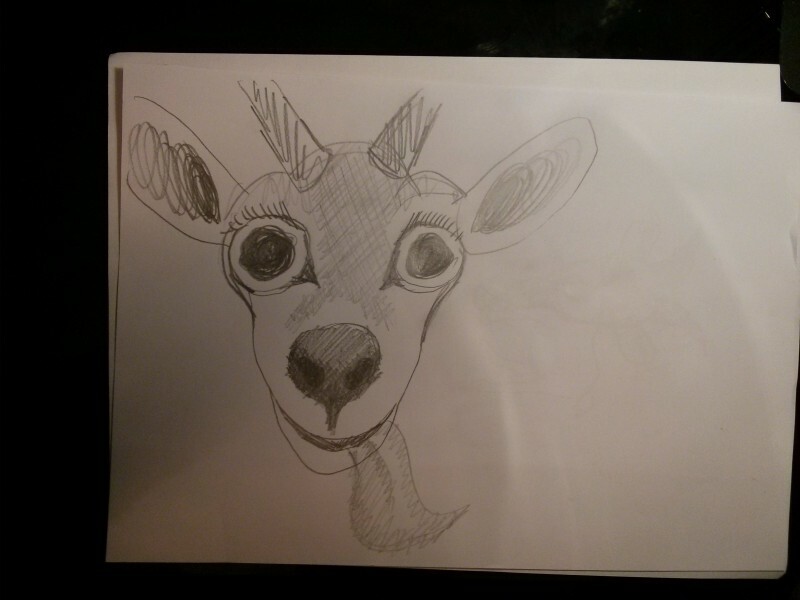 But why draw 972 unique goats? In early prototypes of the game all the goats looked the same. It just wasn’t good enough like this. 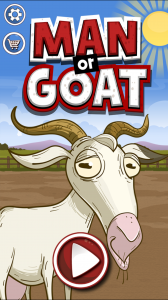 I felt that 972 visually unique goats would give the game more of a chance on the App Store. More style, more polish and more humour. 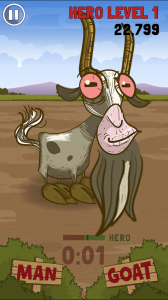 With this in mind I came up with a plan that would provide 972 unique looking goats by automating as much of the work as possible. These are, of course, horrendously poor. 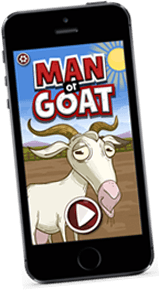 That goat on the left isn’t too bad, but it wouldn’t inspire players to tap the GET button after looking at the App Store screenshots. Perhaps if there was a GIT button. 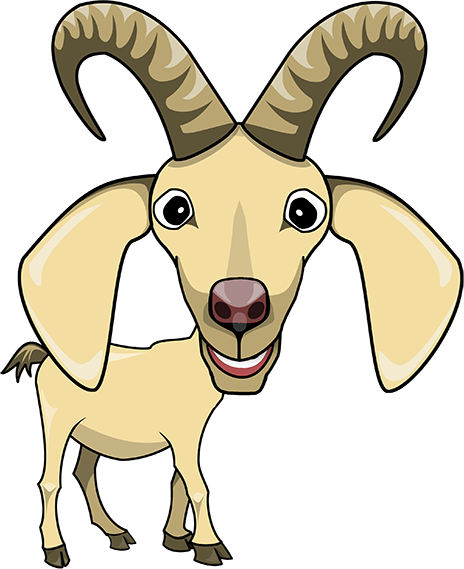 In Man Or Goat you listen to goat noises and decide if they’re a real goat or me doing an impression of a goat. 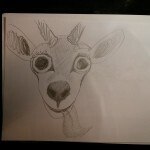 In my last post I explained how I recorded the noises of real goats, but how did I record my goat impressions? This was all the encouragement I needed. How could I turn goat noises into a game? Only three things on the list, this won't take long at all. Wrong.